Competition prevents complacency, it keeps you on your toes and motivates you to always be on-point and at your best. It makes you far more attentive to your clients needs and the market trends. Since our inception, we have always been focused on delivering value to our clients. This is our DNA. We have never spread misinformation about our competitors, simply because we are proud of our creation and are confident that it is the best attribution and marketing analytics product helping app marketers excel at their job. In the mobile marketing industry, competition benefits all parties: ad networks, advertisers, and the attribution providers. It creates an atmosphere of ongoing innovation, which results in better products. However, this notion holds true as long as it is a healthy competition. Unfortunately, competition in the mobile attribution space has become unhealthy. When the seeds of mistrust are sewn through misinformation and lies, it doesn’t just hurt our competitors but also our prospects, customers and the industry as a whole. Basically, the more rumors and lies that are spread result in us all losing. In the last several months, our competitors have been actively engaged in spreading fake news. I believe there are three reasons for this: first, our recent funding which is used to further build and expand our offering; second, because of our rapidly growing market share at our competitors’ expense; and third, because of significant gaps in product (AFI 2.0, Mobile App, Audiences to name just a few). 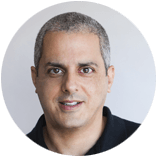 As the market leaders, I know that we are targeted often due to our success, but these attacks, I feel, distract our customers from the real issues in our industry like fraud, ROI, and obtaining invaluable insights in a highly-fragmented market. We’ve been playing nice, trying to rise above the growing use of fake news, assuming that the market was efficient enough to separate fact from rumor. However, we have since realized that the market is not as efficient as we have initially thought which is why I personally have decided to address these fake news concerns. Our data retention policy is and always has been a lifetime policy, except when aligning with special privacy compliance requirements such as those of Facebook and Twitter. We only adopt shorter retention periods if explicitly directed to do so by our clients. Our install re-attribution time frame is fully configurable from 1 to 24 months (our default window is 90 days). That means that when a user installs an app, uninstalls it, and then reinstalls it after being exposed to a campaign, he is not recorded as a new install so long as it occurred within the window set by the client. For more information check out the AppsFlyer Knowledge Base. 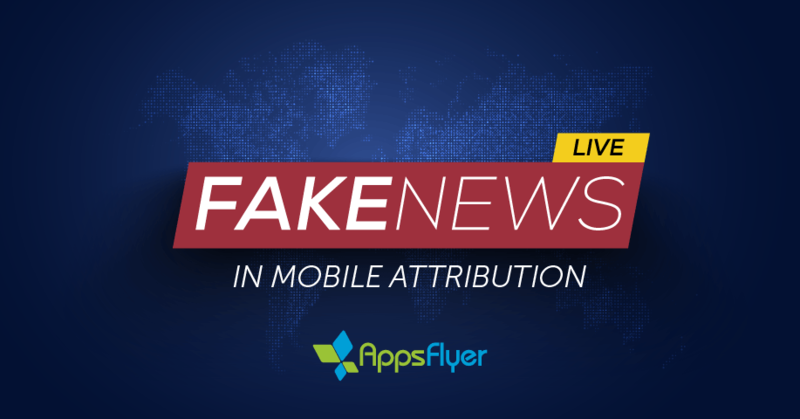 Fake news has been a hot button topic though it’s nothing new in business and infects the mobile attribution space as well. As such, I urge everyone in the ecosystem not to take things at face value, but rather to do their homework so they can separate the fake news and propaganda from the truth.